If you want to learn better, draw the words or concepts than repeatedly writing it to memorise, according to a new research study done at University of Waterloo. In the study done by PhD candidates Jeffrey Wammes, Melissa Meade and Prof Myra Fernandez, students were given the task of either writing down words repeatedly or drawing pictures of them. The students who drew the pictures rather than writing it were found to recall larger number of words from the list in just 60 seconds. The benefits of drawing were not dependent on the artistic skill of the student and this strategy worked well for all types of students. 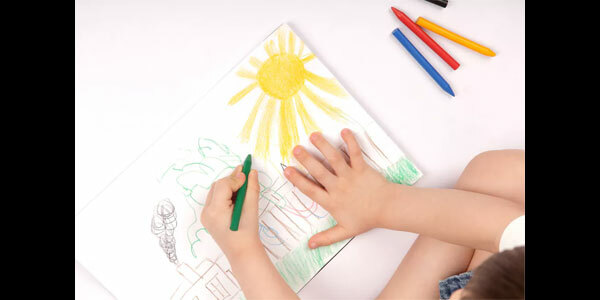 The researchers concluded that drawing helps in forming a more cohesive memory trace. It helps in integrating motor, visual and semantic information. The visual way of learning or the 'drawing effect' can be effectively used in schools and colleges to help students learn better with language, maths and science concepts. It could also make them more creative.